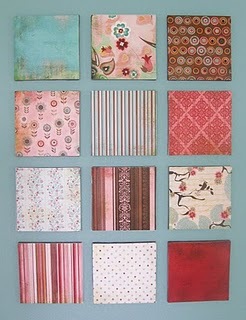 SUPER DUPER darling Dollar store WALL art made at Frugal Life Project HERE. THE MOST adorable “Felt” fishing set ever at Just Another Day in Paradise HERE. Gorgeous “IN LOVE” re-done armoire done at Edge Designs HERE. SUPER cute MAIL CENTER REDO at A Glimpse Inside HERE. 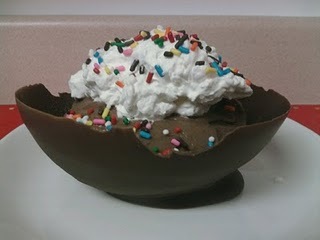 Yummy pudding made in DARLING edible bowls at From the Kitchen of Mrs. Bettie Rocker HERE. 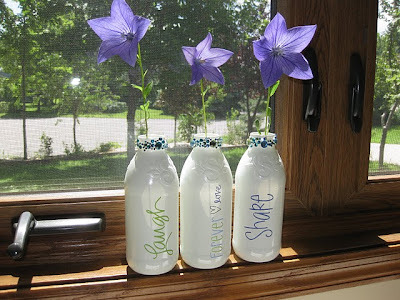 I need to make these, my kids would love this. Numbered Place mats made at Oopsey Daisey HERE. 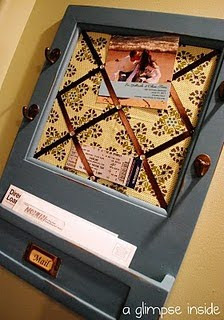 I think this idea is just so so so darling. Darling Rosette shirt (and skirt) made at The Scrap Shoppe HERE. LOVE IT! Gorgeous Stepping Stone(s) with deep beautiful colores, made at Unexpected Surprises HERE. Beautiful RECYCLED SNAPPLE bottles, turned vases at The Hand Me Down House HERE. YOU GUYS ROCK, KEEP THE TALENT COMING! Yay! Thanks for featuring my fishy! Thanks, Jenn, for featuring my t-shirt makeover! Made my morning. 🙂 Hope you have a FANTASTIC weekend!! Aww, Thanks for the feature! Those are all so cute. I love the fishing pole…adorable. The wall art is great too. Thanks hon! You’re so sweet! Jen, you just make my day!! 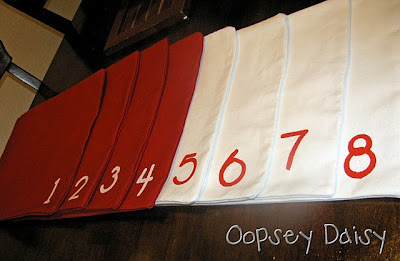 Thanks so much for featuring my numbered placemats!! Enjoy your weekend, my friend! 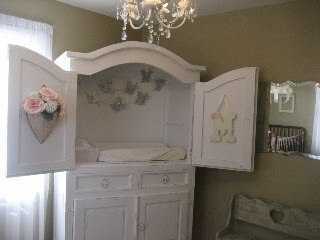 I just LOVE that armoire turned changing table and the stepping stones! There were so many amazing links in the party! Awesome!